I would like to post a little review about our performance in Rio. I was excepting a medal from him, but not gold. The way he came back in the final was superb. He had to break WR for this gold medal and he kept his nerves. 3. Mojtaba Abedini (Fencing): We knew he was able to get a medal in Rio, but it is a different thing to actually perform like this in the Olympics. Sadly he lost the semifinal 15-14, but I believe Fencing is now much more popular in Iran. She could also be Nr. 1 in this List. Considering that she is the first iranian Women to win an olympic medal and her great Comeback on that Repechage match. One of the few athletes who overperformed in Rio. Good for him. I like this kid and he has a great future, but the way he lost his match in the first round was beyond stupid. Didn't except anything from Babajanzadeh, but if you are in the Olympics you should at least try to win the match. Another iranian Sabah Shariati won the bronze medal in the same weight category for Azerbadischan! Loosing in the first round against an average wrestler. 4. Alireza Karimi (wrestling): He is very talented, but since World Cup it was clear that he was not in good shape. Maybe I am wrong but I have the feeling that Jokar would have destroyed this American guy. Actually you can add many athletes in this list like Ehsan Haddadi, Ehsan Rouzbehani, Javad Mahjoub etc. We had so many bad performances in this olympics. We still got 5 medals in wrestling. That is not bad at all. You can hardly compare asian level with world level. Plus at least two of our wrestlers Reza Yazdani and Omid Nourouzi got robbed. I am much more disappointed with Taekwondo. Past 3 Olympics.. Iran end us with only one medal in Taekwondo.. but No gold at Wrestling is bit disappointment .. Actually I follow more closely IRAN in Olympics and Asian games after India..
You lifter Kianoush Rostami is awesome.. I saw the match during Olympics.. Between I read the story of your flag bearer .. Mind Blowing ..
Actually we won a gold this time in freestyle wrestling after 16 years. as for Taekwondo, Iran won two medals in 2004 , in fact winning 1 medal out of 2 athletes in 2008 and 2012 wasn't also a bad result even though we always expect 100% medals in taekwondo. but this time because of new rules we had 3 athletes. two of them clear favorite for the gold but we ended up with nothing , for the first time ever our male taekwondo team finished empty-handed. PS: we judge our men's team and women's team separately, as they have separate coaches and separate preparation system. 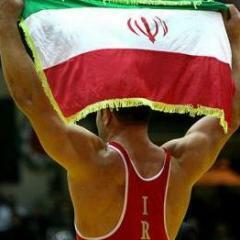 Alizadeh won a bronze this time, but this has nothing to do with complete failure of our men's team. Thank you! I am also following Indian sport results very closely. BTW what happened with your freestyle wrestling? I remember in 2012 two of our medal contenders lost against Amt Kumar and Yogeshwar Dutt. Actually we won one gold in Rio in wrestling (Hassan Yazdani). Freestyle wrestling results were ok in Rio. We got better results compared to London. GR wrestling results were disappointing this time. We had 3 gold medals in London, but tbh I knew we couldn't repeat these results in Rio. But Taekwondo was the biggest Disappointment. We won 3 gold medals in last year WCH . Our men also dominated the asian games. I was excepting 2 gold medals for Rio. You have to keep in mind that we could have only two athletes qualifying per gender before Rio and our Women weren't medal contender before Rio. But this time we had 4 athletes and all were good enough to win the gold medal. Two of them were favourites for the gold (khodabakhshi and Ashourzadeh). Nice.. that I got reply from @MHSN and you at Same time... Now I understood your pain on Taekwondo. Am I missed something.. Yesterday WIKI link doesn't reflect your Wrestling gold .. .. Happy for your guys.. Yes its big disappointment for too in Wrestling .. After Narasingh mess....Yogeshwar lost in first round and Amit Kumar met with Injury before Qualification.. Men's Wrestling given big pain to us. Atleast happy that we got medal from Sakshi Malik in Women's freestyle wrestling after our medal hope in Women's team Vinesh exit in second round due to Injury.. Interesting reading about the very first historic Ice Hockey team of Iran. Team is in preparations for historic debut at winter asian games. Iranian players during a friendly game with participants of the 2017 Asian Winter Games in Sapporo. During the Asian Winter Games, Iran got its first experiences in ice hockey. While not having enough players to compete, they were welcomed by the Asian hockey family by playing four friendly games with and against players from other teams in Sapporo. As someone who knows almost everything about Iranian sport, I'm only fine with #1 for both genders. even though having some random athletes in women's ranking is not surprising since Iran usually have limited achievement here. for example Sara Khadem is here in this list only because of that bogus fair play story. good too see people didn't forget Abedini and despite his 4th place finish still rank him above some Olympic medalists. he was just one touch away from the Olympic final and a historical medal.